Are you often worried about having enough clean water to drink on your next camping trip? If you’re not near a safe water source, your camping trip might not be as fun as you planned. Boiling water is also quite a drag at times. You need pots, a powerful fire, and plenty of fuel. 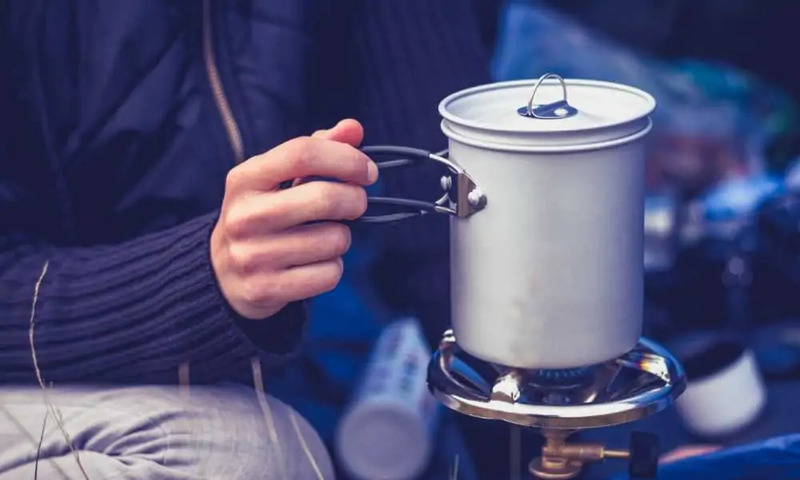 What if there was a way for you to boil your water and even cook some warm meals to make your camping trip more pleasurable? Choosing the best camping stove for the occasion can save you a lot of trouble. In this article you’ll find five of the best camping stoves for backpackers that like traveling light. They’re durable models with plenty of power for camping trips that extend beyond the average weekend. How to Use a Camping Stove? How to Clean a Camp Stove? How to Make a Rocket Stove For Camping? 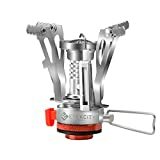 How to Light a Coleman Camp Stove? 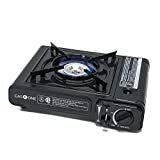 Butane vs. Propane Camp Stove? This tiny camping stove is a great choice if you’re backpacking. Not only is it one of the lightest on our list, it also comes at a highly affordable price. 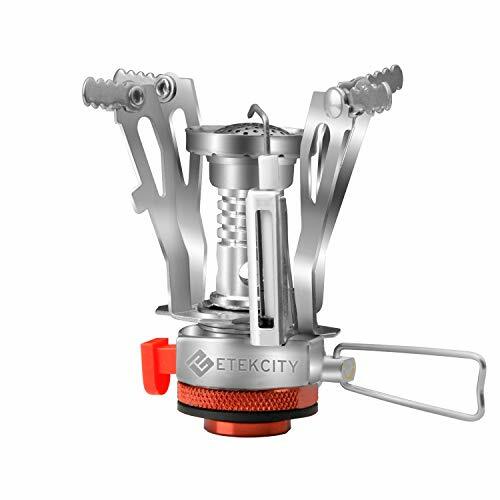 Etekcity designed this portable mini-burner to be as compact as possible, thus the collapsible design. This lets you tuck it away in your backpack while another party member can carry the fuel canister. It comes with an adjustable control valve for tinkering with the output. However, it doesn’t always work as well as you would expect it to. Because of its compatibility with both propane and butane fuel canisters, this camping stove might just see more use than any other on our list. If you can get past the poor heat distribution, you’ll realize that you have something light to take with you camping both in the summer and in the winter. The fact that the design is collapsible makes it a solid choice for ultralight camping. Not only does it weigh very little. you can considerably reduce its footprint enough to carry it in your backpack. Because it can use both propane and propane-butane fuel, adjusting the flame setting is not always great. The lack of optimization for a particular fuel system may give you some hard time before you get used to it. Although it’s rated at an average 7,650 BTU, don’t let that fool you. The GS-1000 is a powerful single-burner stove when used under optimal conditions. In fact, you can also use it as an emergency stove for your home. Because it relies on burning butane for heat, the GS-1000 is another lightweight camping stove perfect for backpackers. Due to its even heat distribution it may also serve you well as a backyard stove or emergency stove at home. The automatic canister ejection system is a very nice safety feature. You can also rest easy knowing it comes with a piezo igniter. The stove comes with its own carry bag, although given its compact design you could also put it in your backpack. It measures 13.5×4.4×11.2 inches and only weighs 2 lbs. The most interesting and positive feature is the canister ejection safeguard. If the stove senses too much pressure building up, it will cut power and safely eject the butane canister. Needless to say, this can save you a lot of trouble if you’re using it in the wrong environment or step away from the campsite. To get the most out of it you’ll need to use a makeshift windscreen. The open burner design is fine on a calm day but the heat output may be cut down in half on a windy or cold day at the campsite. For a couple of years now, the Camp Chef Everest has been a crowd favorite. It’s considered the almost perfect blend of durability and power efficiency. Let’s see if it still holds up. The Camp Chef Everest has a massive heat output of 20,000 BTUs. It also has good heat distribution which allows you to both boil and simmer on two burners at the same time. Its durability is still unquestionable and somewhat expected considering the higher price tag. Although it uses propane, the stove itself is rather light so you could also get away with using it as a backpacking stove. The piezo igniter makes things go smoothly in any weather condition. Over the years Camp Chef has continuously made modifications to the initial design so you might find quite a few variations at different prices. Our tip: Go for the triple windscreen model. The best feature of the Camp Chef Everest is its dual-burner system. It allows you to cook different meals at the same time which is important if you’re not camping by yourself. 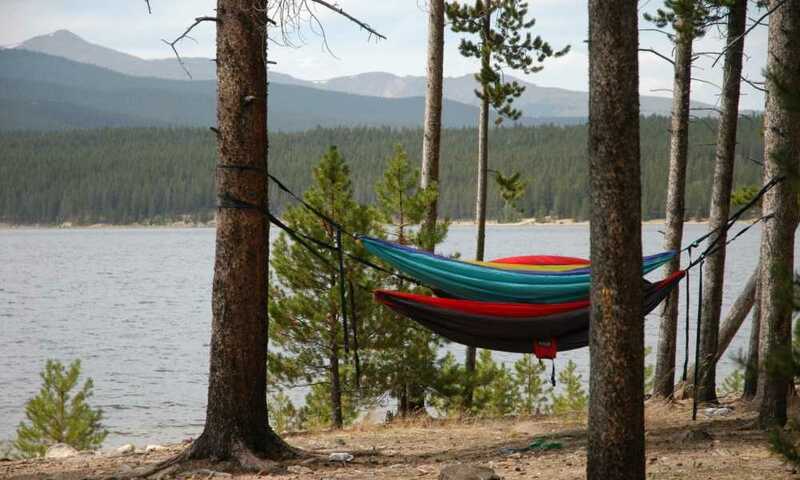 Although some campers seem to overlook this, we won’t. The windscreen on the Camp Chef Everest is not amazing. 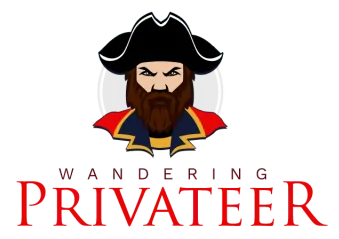 If there’s anything to nitpick at, this would be the feature to go after. Although it can power through windy situations it does burn more fuel to make up for it. This 12,000-BTU stove is one of the most powerful on our list. But it does have some kinks to it because of the open design. As far as compact designs are concerned, the ZA-3HP is one of the smallest butane burners that pack a punch. It also comes with a carrying case that should help protect it on a bumpy ride. It also features a safety stop which triggers whenever there are issues with the gas pressure. It has an interesting pressure regulator system that keeps it burning a constant amount of fuel regardless of how much or how little is left in the tank. In terms of fuel efficiency, it’s hard to find a better camping stove in this price range. The heat panel system does a good job of minimizing heat loss. It provides constant pressure at all times so that the entire canister is being put to good use. Interestingly enough, the best feature also comes with a minor drawback. Because the heat panel system maintains a steady pressure, the ZA-3HP camping stove doesn’t perform too well during windy weather. You can’t force too much fuel to make up for the heat loss which could lower your boiling time considerably. We’ve already presented a budget-friendly option but why not make it two? This Lixada camping stove is a stainless steel stove that burns wood or alcohol for outdoor use. What it lacks in power output it makes up for in fuel cost. If you’re going for maximum affordability in terms of stove and fuel, wood and alcohol is the way to go. Denatured alcohol is the cheapest fuel for camping stoves. Wood is free but it’s not reliable. In any event, you can use both with this stove. 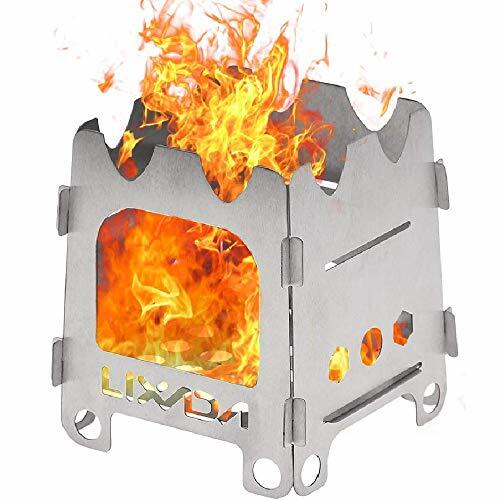 The stove can be taken apart entirely in seconds and packed as tiny stainless steel sheets in one of your larger backpack pockets. Needless to say, the small footprint and ultralight weight is the only thing some campers have in mind. What’s even better is that the stove can support quite a lot of weight so you are able to cook for more than one person, albeit a lot slower. The best part about it is the folding design. It’s the most compact camping stove on our list and the one with the highest portability rating. All the plates are fully detachable and stackable, which makes bringing them along a breeze for any camper. Don’t take this the wrong way, but what’s bad about this stove is what’s bad about all alcohol stoves. It simply doesn’t have the heat output of butane, wood, or propane stoves. Even though the fuel is cheap it just takes a long time to reach the boiling point. It’s important to understand that the best camping stove won’t be the same one for everyone. The choice should be made by answering a few questions. Where are you camping? How long are you camping for? How will you get there? How much can you afford to pay? What do you need the stove for? 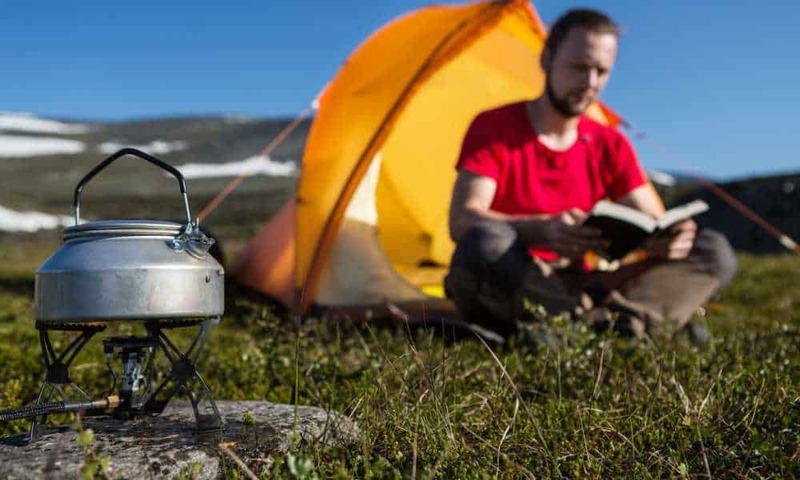 These aren’t questions we can answer for you, which is why determining the best camping stove for your needs is up to you. However, we can offer information on the most important features of camping stoves so you can make an informed decision. Let’s start things off with the different stove types. These stoves generally use white gas. They burn very hot even when it’s below-freezing out. Although some use gas it doesn’t mean that liquid fuel stoves don’t come in a variety of models. There are plenty of multi-fuel stoves which can also make use of gasoline, diesel, and even jet fuel. Here are some of the highlights of liquid fuel stoves. Sometimes also referred to as canister or propane stoves, these camping stoves are relatively easy to use and maintain. You don’t need to do any priming before lighting a fire. The flame is also adjustable and although they don’t have a lot of heat output, most models can simmer just fine. If you’re considering a gas stove here’s what you should know about this category. In this section we can classify a couple of fuel options as alternatives. You don’t always need butane or propane to cook a meal at the campsite. There are wood-burning stoves, denatured alcohol stoves, and even solid-fuel tablet stoves. The latter are quite popular due to their low cost and compact size. Wood stoves are great for long camping trips because you don’t have to carry a large quantity of fuel with you. Some can even generate some electricity, which could power up your smaller gadgets. The downside is that you have to spend some time gathering wood. There are also some high-altitude areas where you’re not allowed to use them. Alcohol stoves are lighter than wood burners and the fuel, denatured alcohol, is pretty cheap. The problem is that alcohol doesn’t burn too hot. It takes considerably longer to bring water to a boil and you waste more fuel. As you might expect, camping stoves come in various shapes and sizes. 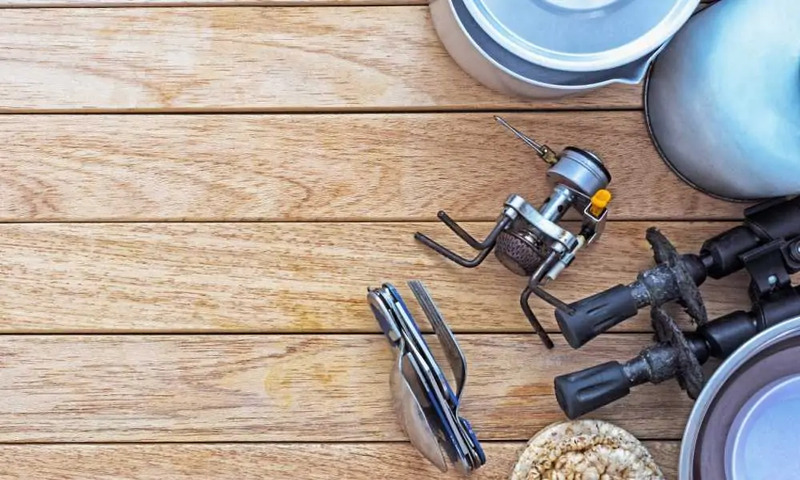 Depending on what you need yours for, you might need to get a small or a big stove. For example, when camping with up to four people, a standard two-burner stove is more than enough in terms of raw cooking power. Of course, just because two different stoves have the same size doesn’t mean the designs are equally efficient too. Some two-burners may accommodate a 12” skillet while others may not. It’s a good idea to know the sizes of your pots and pans before you choose a camping stove. Bigger isn’t always better. However, a big stove won’t necessarily mean it’s a on the heavy side. The fuel source has a lot more impact on the overall weight than the actual size of the stove. The most popular camping stoves are actually quite light. Why? – Because they are designed for backpackers, which is why you’ll also see them referred to as backpacking stoves. They’re durable, perform well in all types of weather conditions and at high altitudes, but they’re also compact enough to carry in a backpack. Still, the weight is something you should consider. If you’re traveling by car, you can afford to put a heavy stove in the trunk. But if you don’t need the extra fuel or cooking power, should you bother? Not unless you want to cook five dishes in a day. Also, when figuring out your weight restrictions, take into account the fuel canister too. In the case of liquid stoves, or propane stoves, most of the weight comes from the canisters. As previously mentioned, camping stoves are generally classified by their fuel source. There are a few things to consider if you want to get the most out of your purchase. If you want a stove for all-weather, all-year-round camping, there isn’t one. There are some hybrid fuel models but they can be as expensive as outdoor grills and very inconvenient to carry even in a vehicle. If you want to choose the best fuel system for your camping trip, consider the altitude and the weather. If it’s cold outside you’ll mostly likely have to use propane. The canisters are more durable and propane burns hotter than butane even in below-freezing temperature. The same goes for cooking at a campsite at high altitude. Wood is arguably the cheapest fuel source in the wild. However, if you happen to be caught in a rain your chances of getting a fire going go from slim to none fast. Wood burners are also restricted in some parts of the US. For instance, you can’t use them above 9000ft in the Yosemite National Park. Butane may not give you the fastest boiling time but it has something else going for it. Butane stoves are easy to carry and easy to use. They also prevent any potential fuel spills. If you want to put your stove in your backpack, know that you’ll be limited to using butane. Alcohol stoves are an interesting alternative. The fuel is cheap but you need a lot of it to get a boil going. Even so, it’s a bit more cost-effective than butane and propane camping stoves. However, if time is of the essence you’ll be disappointed by its performance. It’s tempting to base your decision on BTU ratings alone. After all, when it comes to burners, the higher the BTU rating the more cooking power it has right? As logical as this train of thought is, it doesn’t always apply to camping stoves. Remember that the rated BTU is either calculated with the gas regulator at max open or measured in a laboratory setting. In practice, two stoves with the same BTU rating can perform vastly different depending on a few factors. Windscreens, fuel type, heat distribution, and overall design generally trump the BTU rating in camping stoves. It’s more important to get the fuel type right for the occasion and the design than to count BTUs. Higher BTU means you have to burn more fuel, according to the physical law of conservation of energy. Let’s get one thing straight. Some camping stoves will cost more because you pay a premium for the brand. It’s not at all different than buying any other camping gear or equipment. 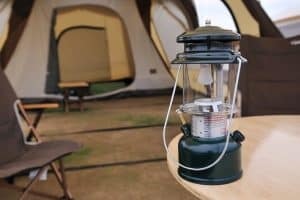 This is why it’s important to familiarize yourself with the important features of camping stoves and how they tie in with your specific needs. Once again, be wary of BTU ratings. They can be quite misleading. Unfortunately you can’t really assess the differences without doing a stress test yourself. There are no standardized guidelines for using a camping stove. That’s because it varies from one model to another. Different fuel systems and ignition systems come with different instructions. However, there are some general safety rules that apply to fuel types. You should follow them regardless of what model stove you have and regardless of brand. Cleaning a camping stove is not that different from cleaning your indoor stove. You have to take it apart, clean all the connecting pieces individually and dry them before reassembly. The good news is that due to the compact size of most camping stoves, this process is fairly quick. Just make sure you use vinegar or a stainless steel cleaner for stainless steel surfaces. For other metal surfaces, regular dish soap will do. Also use a nylon sponge on metal surfaces. For stainless steel you might want to use a soft cloth. A wire brush should also be part of your cleaning arsenal if you want to be thorough. The right way to disassemble your camping stove should be detailed in the owner’s manual. Follow that to a tee to avoid any accidents or voiding the warranty. Building a rocket stove can be a great DIY project. You don’t need expensive materials but you might need some efficient power tools. If you want a small stove that can burn some wood and that can be stored in the trunk of your car at all times, here’s how you can build one. This should come easy if you’re familiar with the principle behind a rocket stove. For starters, you need one large can and two smaller cans. The size of the can is something for you to decide as you know how much heat distribution you’ll need for your pans, skillets, or pots. Cut a hole the size of the smaller can lid in the large can. Now cut the same sized hole in the can you’ll insert in the larger can. This will be your chimney and it will sit between the outer can and the insulation. At this point you should have the large can standing up, the outer can inserted through the side cut, and the last can centered in the middle of the large can and connected to the outer can. You should also cut some flaps from the top of the large can to act as supports for your stove. To cut the chimney opening in the lid of the large can, use one of the smaller cans to trace the circle. This will also cover the insulation. The insulation goes all around the interior can and up to its edges. The large can lid will be pressed down on the insulation to protect it and act as a support for your pots. The lid can be secured by fitting it in between the flaps cut from the large can. There you have it, your very own rocket stove. There are of course variations and different materials that you can use, but the principle remains the same. You need a container that feeds fuel, a chimney, and a larger container to provide stability and enough room for insulation so you lose as little heat as possible. Before you try to light it, make sure that the fuel line is secure. Check the valves and canisters. Coleman makes a wide variety of camping stoves so you may encounter multiple fuel systems. That being said, lighting a Coleman camp stove is pretty straightforward across all designs. After checking the fuel connections, check for a lighter. Some stoves will have an auto igniter. If yours doesn’t, just use matches. You’ll want to locate and then open the burner valve. Set it to medium to avoid accidents. Setting it to low may not light well in windy situations. Put the match in the fuel stream and then adjust the intensity of the flame to whatever level you need. If you’re backpacking, you’ll prefer the lighter camp stove so you’ll probably opt for a butane stove. If you’re going to the camp site with a vehicle there’s no reason not to pick up a propane stove. On the other hand, a propane stove isn’t bigger than a butane stove as long as you pick one that uses 1-lb. propane cylinders. Another difference would be ease of use and applicability. Propane camping stoves show superior efficiency in cold temperatures and at high altitudes. You might also want to take this into consideration. They also offer much more even heat distribution so it’s less likely you’ll burn your food. The Camp Chef Everest is still the best camping stove to this day. With a few modifications to the design over the years, the Everest just keeps getting better and better. The windscreen design has improved and thus the heat output, while still rated at 20,000 BTUs, is even more consistent. The piezo ignition takes care of lighting it up and the weight of the stove isn’t too much for a couple of backpackers to handle. 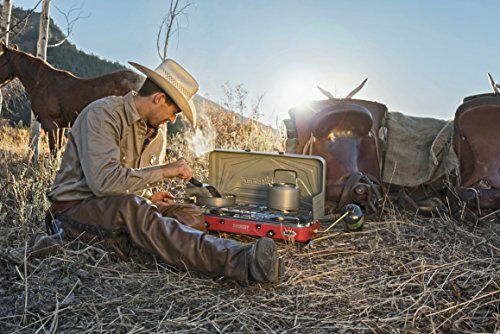 The dual-burner system makes it a solid choice for camping with larger groups too and the fact that it uses 1-lb. propane fuel cylinders makes it an all-weather, year-round camping stove.